This past week we began diving into our apple study. We had so much fun learning about apples. This week we explore apples and make some fun projects with apples. I cannot wait! Apples is one of my favorite units to teach!!! So many fun things to do and learn. Check back later for a post just about our two weeks of apple fun! Now onto this upcoming week. This week we will really be exploring apples and doing some fun things with them! We will be learning about the life cycle of an apple and making a cute project to go with it. We will also taste different apples and graph our favorite. We will end our unit by exploring an apple inside and out and tasting different foods made with apples! We will also be focusing on the letter T this week. We are still learning about shapes this week in math and exploring flat shapes and 3-D shapes. We also started Writer's Workshop last week and my kids are really getting excited about writing. They are already asking me when they can write their own stories! I am so excited that they want to write! This will be our first full week of small groups. We practiced a little last week so here's to hoping everything goes smoothly this week. Click on any of the pictures above to download a copy of my plans. 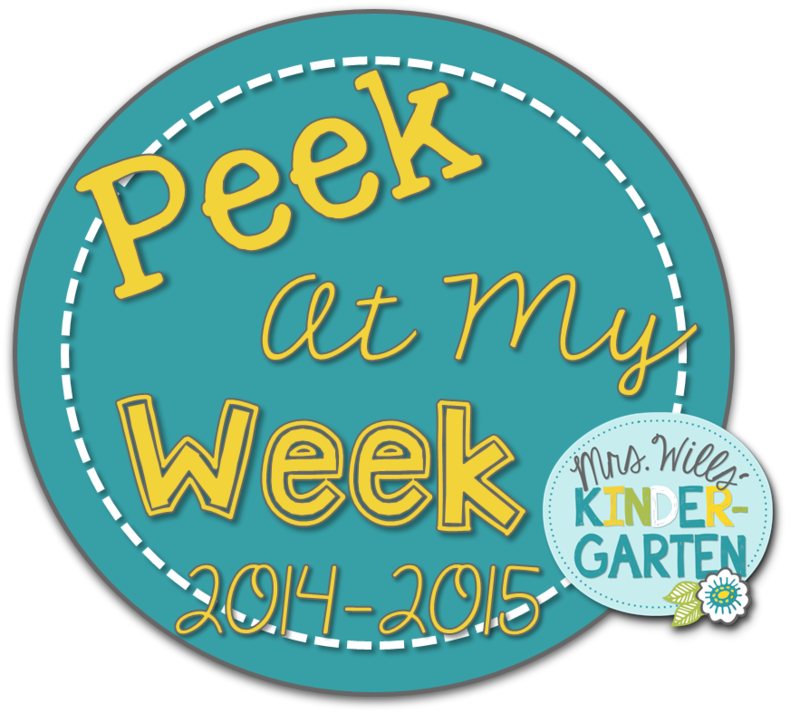 Then head on over to Mrs. Wills page and link up or look at other lesson plans! Then come back at the end of the week for a look at all of our apple fun! Hope you have a great week!